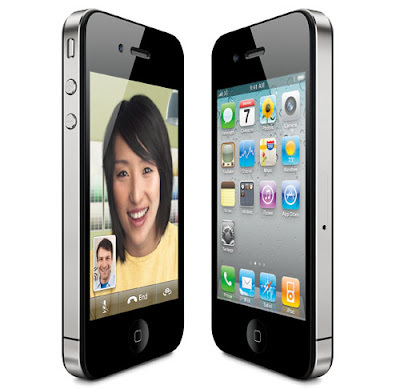 Market leaders in telecom service Airtel and Aircel recently launched the iPhone 4S smartphone in India at price range starting from Rs 44,500. The telecom service providers kept the rate of 16 GB model at Rs 44,500, the price for 32-GB and 64-GB versions are scheduled for Rs 50,900 and Rs 57,500, respectively. It is for sale at Airtel and Aircel stores. The iPhone 4S features a 3.5-inch, 960 x 640-pixel widescreen multi-touch retina display. It has a dual-core A5 chip processor and sports the new iOS 5operating system. According to iPhone it provides faster web browsing and improved version for gaming. The 8-MP camera is provided with a larger aperture, a custom lens, advanced hybrid infrared filter and face detection utilities. It also has ability to record videos in 1080p HD and also can use the front facing VGA camera for video chatting. It new new voice-activated personal assistant is named Siri. The user can ask Siri for getting variety of information by voice, like as the location of the nearest restaurant, and would soon get an answer to the question. Siri can also be employed for making phone calls, sending messages, scheduling meetings and setting reminders, etc.